Cover Letters for Creative People | Want a job in journalism, PR or advertising? You need a killer cover letter. If you’re reading this, I assume you need a job. And if you need a job, you’re probably frustrated. You’ve been sending out résumés nonstop and, if you’re lucky, you’ve been getting called back for maybe 10 percent of the jobs you apply for. Let’s face it: in this economy, everyone’s up against the same crappy odds. You need to stand out. You need, honestly, a frickin’ awesome cover letter. Here’s the problem. Go to the local bookstore and look at the resources available to you. If you’re in school, go to your career center. Yeah. The examples out there are fine….I guess. If you’re planning to be an accountant or HVAC repair tech. No slight against either of these jobs–it’s just that the advice out there is geared toward them, but the rules of the game are different in the media industry. You want a job in journalism? Want to be a social media editor? A career in PR or advertising? You need to be a little different. Your cover letter can’t follow the format everyone advises: “Dear sirs, it is my pleasure to submit my resume for consideration…” That’s not going to work. And here’s the thing. Even people who are fantastic writers sometimes fall down when it’s time to apply for a job. That’s because they’re trained to write these things in a specific format. To follow the rules. They can spot a bad cover letter from a mile away but when it comes time to write their own, they choke. Sometimes, when the pressure is on to get a job rather than just tell a compelling story, they forget everything they learned about writing and find themselves nervously pecking out something they would have considered good in third grade. If this sounds like you, it’s OK. It happens to everyone. 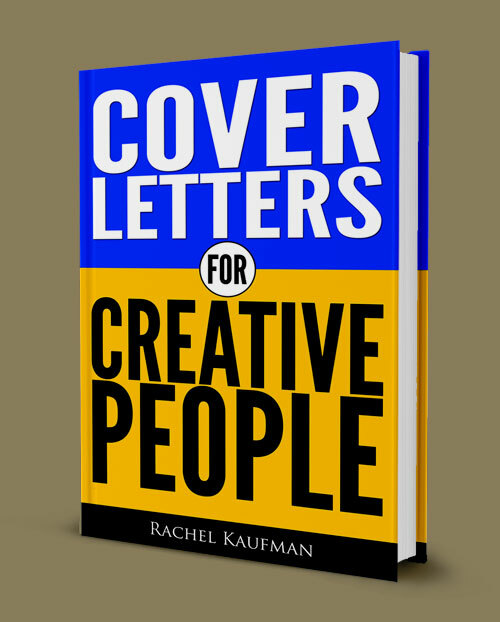 Cover Letters for Creative People is the first e-book for people like you. 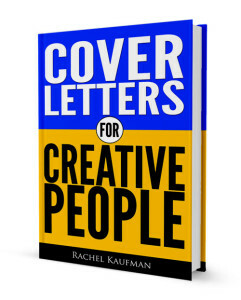 I designed Cover Letters for Creative People for students and recent graduates looking for media jobs, but even if you’re already in the industry, if you’ve ever struggled with a cover letter, you may benefit from this book. You’ll learn how to get your masterpiece into the hands of hiring managers (because if you’ve been looking for a job, you’ve probably learned that most online application systems throw your letter away). Now I want to help you get a job. With this e-book, you’ll have the tools to make the best first impression possible.